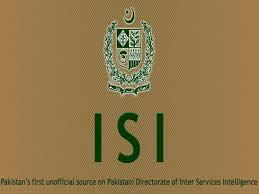 Agartala, April 1 (IANS) A suspected spy for Pakistan's Inter-Services Intelligence (ISI) agency was arrested in Tripura, police said here Monday. "Acting on a tip off, BSF (Border Security Force) troopers arrested Rasel Mia, 30 from Bishalgarh area bordering Bangladesh late Sunday night. Later, he was handed over to the Tripura police," a police officer told reporters. The officer said that some telephone numbers of Pakistani and Bangladeshi citizens were found in his mobile phone. "He is suspected to be an ISI spy." Senior police and intelligence officers have been interrogating Rasel Mia.